عندما تزور وايتيانجا, ستشعر أنك في بيتك في Oceans Resort Whitianga الذي يقدم لك إقامة متميزة و خدمات عظيمة. يمكن من هنا للضيوف الاستمتاع بسهولة الوصول إلى كل ما تقدمه هذه المدينة النابضة بالحياة. يشكل هذا الفندق ملاذاَ مريحاً للاسترخاء ويمنح زواره فرصة للاستجمام والتجدد، وهو يقع على بعد خطوات من المعالم السياحية الكثيرة للمدينة كمثل: ميركوري توين, سفاري ويندسيرفينج. إن الخدمات الممتازة وحسن الضيافة العالي في Oceans Resort Whitianga تجعل إقامتك تجربة لا تنسى. هذه بعض الخدمات الموجودة في هذا الفندق: Wi-Fi في المناطق العامة, ركن للسيارات, قاعات اجتماعات, تأجير دراجات هوائية. تعكس غرف الفندق البالغ عددها 25 المنتشرة في طوابق جواً من الدفء والألفة.خدمات عصرية مثل تلفزيون بشاشة مسطحة, الاتصال بشبكة الإنترنت (لاسلكي), غرف لغير المدخنين, تدفئة, شرفة/ تراس موجودة في بعض الغرف المختارة. يقدم الفندق خدمات رائعة كمثل مسار جولف - ضمن 3 كم, حمام سباحة خارجي, مسبح (للأطفال), ملعب تنس, حديقة لمساعدتك على الاسترخاء بعد نهار طويل من النشاط والتجوال في المدينة. 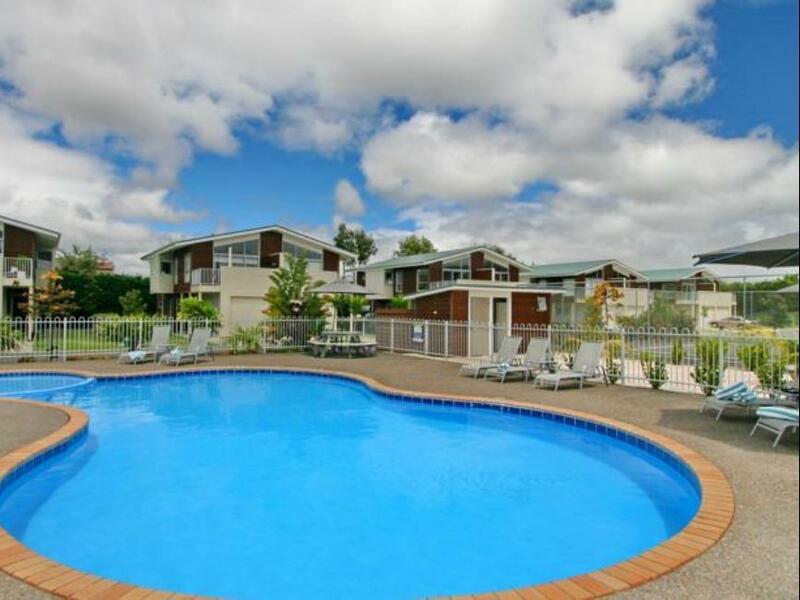 استمتع بخدمات لا يعلى عليها وعنوان ذو اعتبار في Oceans Resort Whitianga . يغلق مكتب استقبال الفندق أبوابه في تمام الساعة 05:00 مساءً. يجب على النزلاء الذين سيصلون في وقتٍ آخر غير الأوقات المذكورة أن يتصلوا بالعقار مباشرةً قبيل وصولهم؛ وذلك حتى يمكن إجراء ترتيبات أخرى. The resort’s apartment was very well equipped and clean. Service was great and provided us with very helpful advice on things to do. Stay here 2 nights with 2 kids. Hope to stay longer, we have everything we need in the resort. A very very nice stay here. Strongly recommend. 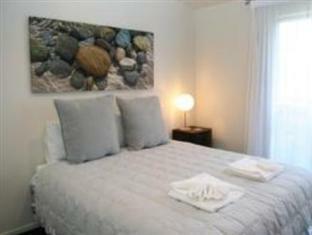 Great location, staff is so friendly and the rooms are well tended. I would come back here in a heartbeat. We booked a one-bedroom apartment so we weren't expecting a 3-storey house! Even though we could only use one bedroom and one bathroom, the rest of the house that was accessible to us was amazingly spacious--there were 2 lounges, a large open-plan kitchen, a BBQ deck, and a garage for laundry. The resort also had a lot of useful facilities and we appreciated their little touches like allowing guests to borrow spades if they were going to Hot Water Beach. The location was also convenient to all the restaurants in town and the lake. We really enjoyed our stay and will definitely be back with our family! Kim is a wonderful host. Very helpful. Well equipped units with all amenities. Double bed unit has two separate washrooms. Big freeze friger. Heated swim pool. The resort was clean and there was no shortage of staying with the baby. Everytime when I come to Whitianga for business meetings, I will stay in this apartment. It's not my first time staying in this apartment, highly recommended to friends and family! Excellent, would stay here again. 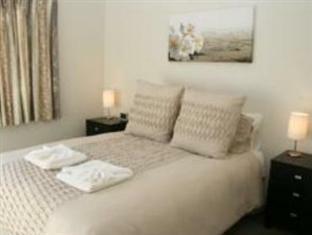 We were given a two bedroom unit which was tastefully decorated and very clean. It was well stocked with cuttlery and crockery and a good supply of tea, coffee etc:. It is a three story unit which meant stairs and bedrooms and the only washroom being on the top floor. This was not an issue for us but could be for persons less mobile.Overall it was a very pleasant stay in a beautiful location. Very well kept apartment. Clean and very near to beach. My kids enjoyed this apartment most. It's a very clean and pleasant apartment. Very nice and homey apartment for the cost of a motel room. Easy walk to the beach and ocean. relaxing location. Just one regret - did't not stay longer, the photos do not do any justice. Tennis court (free rackets provided), bikes, separate lockup garage, laundry on separate floor so no noise, barbecue, balconies, pool. Rooms new, luxury and in perfect condition, proper cooking facilities, huge fridge, quiet. Shops and nice cafeteria just around the corner (3-5 min walk). This would be a perfect place to spend a week or two.